COLLEGEDALE, Tenn. --- Southern Adventist University is offering free engagement watches to reward any successful wedding proposal in the coming school year. 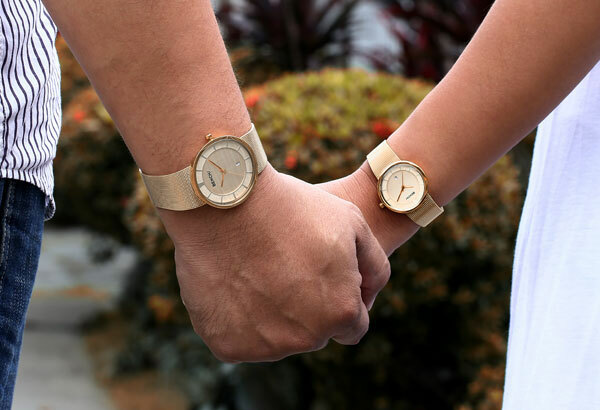 The perfectly matched his and hers watches will be issued to any male student who feels the time has come to pop the question. "Couples that successfully become engaged will get to keep the watches as a reward for securing Southern's time-honored status as the matrimonial Mecca of Adventism," said Southern spokesperson Ahn Datte. In the event of an unsuccessful proposal the watches will have to be returned to the university along with a written report on how the proposal was conducted. Datte said that Southern promises to work with rejected students to make sure their second proposal attempts are more fruitful. "Sometimes it is just a question of correctly setting the mood," he claimed. "We've found that getting down on bended knee in the prayer garden works better than passing a note in chapel." Datte added that other times rejection is simply confirmation that you are well out of your league.